Wall to wall tile covered this 1950‘s bath-room it was time to give this room a make-over! Demo, demo, demo was the theme for a few days of this messy, dusty tile re-moval. We were able to put a bin outside the window to help keep the mess down to a minimum. A new vanity cabinet, counter top/sink, faucet, 3 piece shower unit/door were installed. 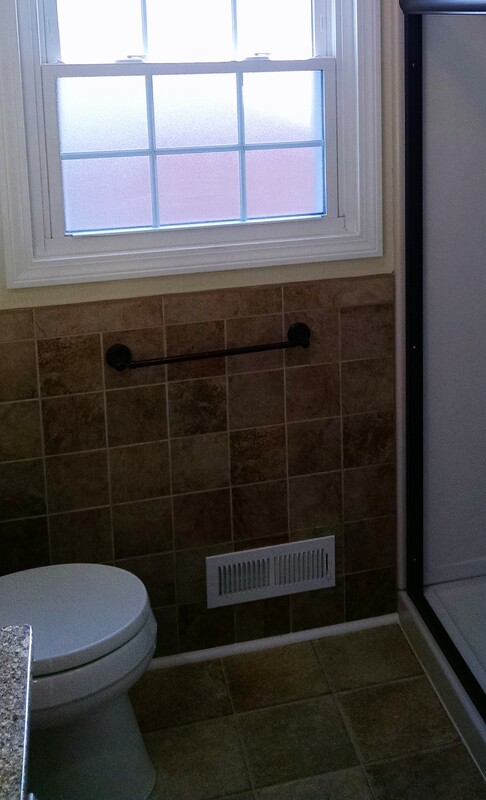 Porcelain wall tile was installed where removal took place to keep with the original style of the home. 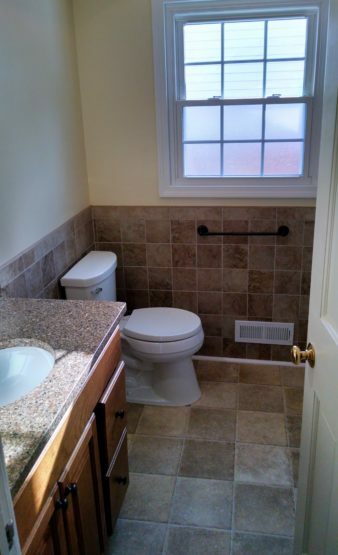 Due to the scope of work the remodel entailed this project lasted about 4 weeks. 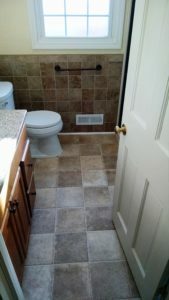 Plumbing, Electrical, Drywall, Painting, Flooring tile work, and Inspections were all performed. Projects in small spaces can take longer because only one trade can be working on site at a time.